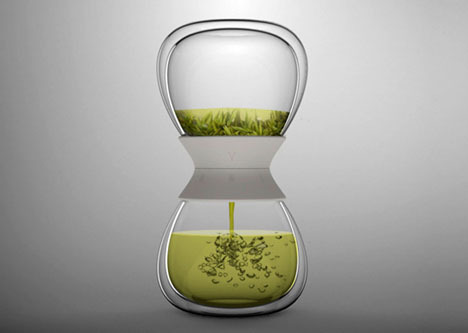 No unnecessary bells or whistles (let alone a power cord) are needed for this elegantly simple tea timer-and-steeper to do its job. 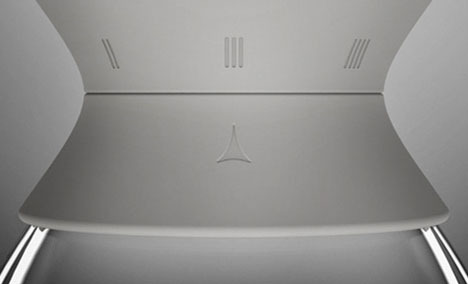 Just pour, screw, tip and wait. 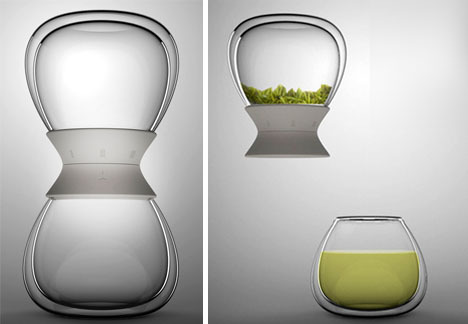 A pair of identical glass vessels twist together mechanically via a plastic joiner piece to form the sealed middle between two hourglass-shaping bulbs, each sized for a single two-person serving of tea. 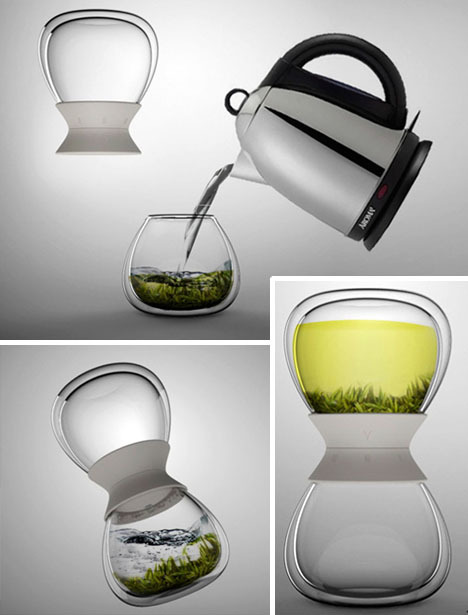 Three settings in the middle allow the user to select a duration for the steeping process, depending on tea types and personal preferences.